Can you imagine life without Internet? It’s pretty obvious, that the answer to this question will be a big NO. However, if you feel otherwise stop whatever you are doing for a minute, and just look around yourself. You will easily realize how this technology has become an integral part of your lifestyle. From phones to PC’s gaming consoles to television set-top-boxes, Internet is present in almost every aspect of modern living. This growing use of Internet in the everyday devices used both at home and at work that has led to the development of the term, “Internet Of Things”. The term was first coined in 1999 by Kevin Ashton, a British entrepreneur, while he was working at Auto-ID Labs, although the term became popular only after it was mentioned in an article in RFID Journal in 2009. Put simply, the term refers to the ability of devices to connect with the Internet and even with each other, if the need be. The devices can include anything from cell phones to washing machines and coffee makers to laptops and even wearable devices. These devices and gadgets can be fitted with sensors and connectivity technology to make them work together and even automatically to make our lives easier. In more technical terms, The Internet of Things (IoT), refers to those devices that are equipped to sense the various aspects of the real world and are capable to not only collect and report the data about these aspects but also act on the information thus acquired. The real world aspects that these devices can judge include temperatures, light, motion and even the presence and absence of people and objects. The very concept of IoT is so fascinating that it has often been referred to as the futuristic way of living. 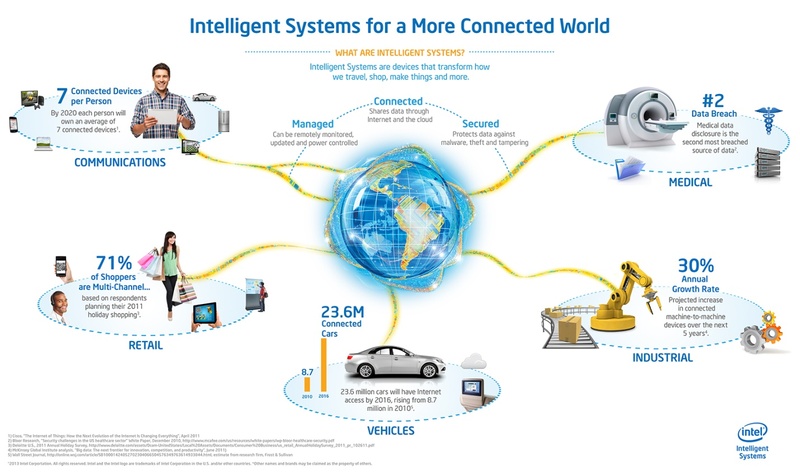 In fact, IoT can be imagined as this huge network in which things are connected to each other and where things can refer to both people and devices. With this technology, a larger percentage of information would not only be produced by machines but even used by them with the single goal of improving the quality of our lives. Imagine how easy your life would be if your Refrigerator could keep track of the of food stored inside it and alert you when you are running out of some things like milk or eggs etc. Another example can be that of a smart medicine cabinet alerting the owners about when their medicines need to be purchased or even better ordering refills from a connected drugstore. The possibilities of using IoT for enhancing our standard of living are endless, especially if we look at the broader picture of national and global interests. It is being perceived that this technology can help in setting up advanced connectivity between devices, systems, and services that goes beyond machine-to-machine communications. Well, in some respects, IoT is already a reality, although it is still being developed, tried and tested on a much smaller scale. 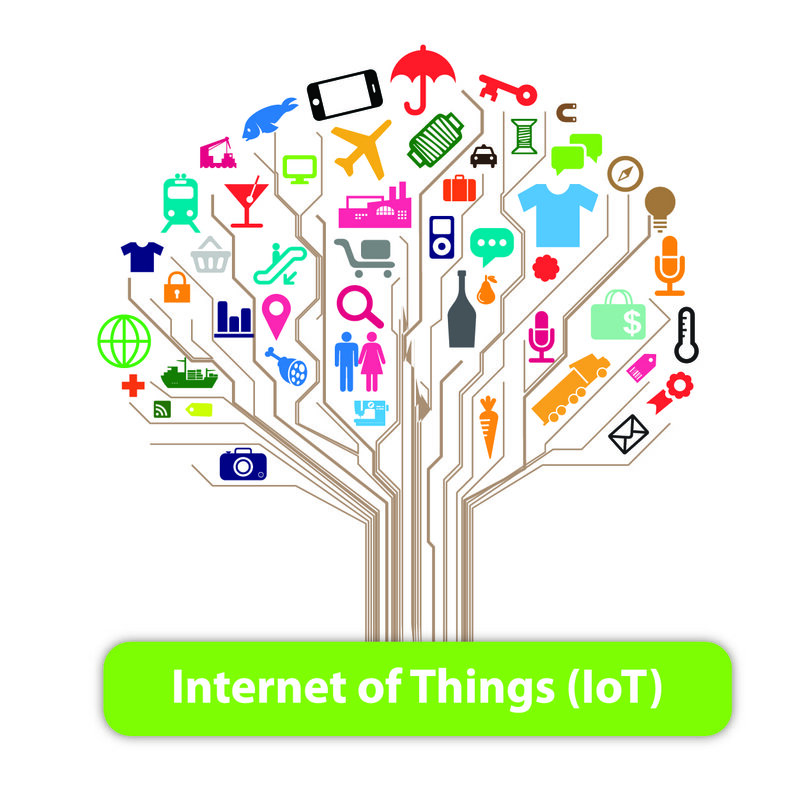 In fact, there are various standalone applications and devices that implement the basic concept and philosophy of IoT. However, before implementing this technology on a larger scale, the following issues need to be considered. The Internet of Things is all set to change the world as we know it and the best way to prepare for the change is by enrolling in a course for the same. Given below are the brief details of some Free Online courses to learn IoT. This course offered by Kings College London, teaches the trainees about how IoT works and how it can be used for successfully creating a product or a company. This 4 week long course imparts knowledge about the entrepreneurial aspect of this technology besides offering business insights about making the most of IoT. You can gain more information about the program by visiting www.class-central.com/mooc/3820/futurelearn-the-internet-of-things. This course offered by the University of California, imparts education about the developments in science and technology that have made Internet of Things a possibility. The 4 week long course helps in forming the strong foundation that enables trainees to get familiar with the discoveries and converging technologies for further innovations. Click the given link to learn more about the program www.class-central.com/mooc/4276/coursera-internet-of-things-how-did-we-get-here. The course offered by the University of California trains students about the principles of video and audio codecs used for different types of online media content. The course offers information about the file formats and codec settings for enhancing quality and media bandwidth. You can gain more information about the program by visiting www.class-central.com/mooc/4237/coursera-internet-of-things-multimedia-technologies. The program offered by University of California, offers information about the working of VoIP systems and also makes the trainees familiar with the protocol of information exchange between various processors. The 4 week long course helps the trainees understand the various aspects of inter-device communication using IoT. To learn more about the course click the given link www.class-central.com/mooc/4173/coursera-internet-of-things-communication-technologies. This specialization course offered by the University of California imparts education about the significant role of IoT, its existing components and future trends. The 4 week long course also covers aspects such as design consideration and constraints as well as the interfacing issues in depth. Get detailed information about the course at www.class-central.com/mooc/4338/coursera-introduction-to-the-internet-of-things-and-embedded-systems. As the name suggests, this course offered by the Yonsei University trains the students about the emerging technologies of IoT and AR. The 2 week long course offers information about the basics of how these technologies work and what can be achieved by implementing them on a broader scale. More information about the course can be obtained by clicking the link www.class-central.com/mooc/3934/coursera-internet-of-things-augmented-reality-emerging-technologies. The Internet of Things is all set to change the world as we know it and understanding it is the best way to prepare for the change.